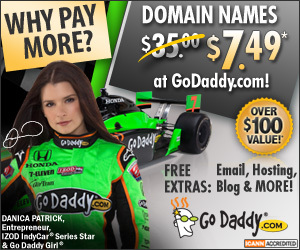 Get a free 2 Year GoDaddy Auctions membership with the coupon code FREETDNAM used at checkout. Simply go to auctions.godaddy.com click the green ‘Join Now’ button, select 2 years for $4.99 and add to cart, check out with the promo code FREETDNAM and you’re set. Bid History – Now a cleaner, easier to read window on main pages and individual listings. Bidding List – A new tabbed view for Watching, Bidding, Won and Didn’t Win domain auctions. GoDaddy Domain Auctions has made some changes over the past couple weeks that include pricing changes for fire sale domains and time extensions when bidding on expiring domain auctions, more details below. Here are a couple of interesting domains that sold on GoDaddy’s Expiring Auction today: KnockoutEnergyDrink.com for $2,240 and KnockoutEnergy.com $4,025. KnockoutEnergyDrink.com had 2 bidders with a total 39 bids (screenshot). KnockoutEnergy.com had 3 bidders with a total of 59 bids (screenshot).